Every teacher used what they liked, over five published curriculums were in use, some taught without any published material. Repetition and Omission of Bible stories was not only likely, but expected. No idea what was accomplished in the years spent within the Children’s Ministry. 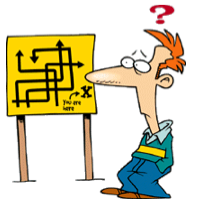 Lots of good ministry going on, but no way to know what was going to happen, or to evaluate results. THEN we hunted to see if any curriculum met ALL of these criteria. NOW IS THE TIME TO EVALUATE YOUR CURRICULUM. We used DiscipleLand long enough to see kids go entirely through the process and could see the results. 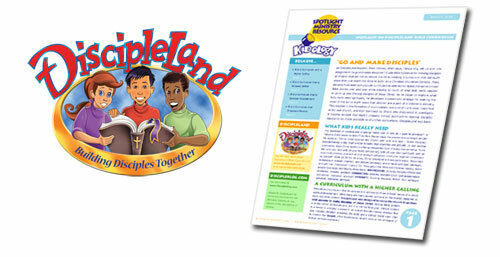 We ended up dividing our kids 6-9 and 10-12 and used DiscipleLand with the younger and it was amazing! The kids loved it, which is totally cool because it didn’t have any “high techy” stuff, but kept their undivided attention. I loved that during our review this past Wed the kids retained most everything! This is 2 thumbs up! Thank you Karl for introducing us to this. I would not hesitate to tell anyone to give this a try. They will be hooked. For some VERY HELPFUL TOOLS for evaluating your ministry, be sure to see the evaluations available on the DiscipleLand Equipping Center. Every ministry ought to work through these tools WHETHER OR NOT they use DiscipleLand, or DiscipleLand will fit their ministry structure or needs. Check out DiscipleLand, you’ll be glad you did! There is a reason more and more churches and switching to DiscipeLand! If you would like some SAMPLES, check out the Discover DiscipleLand Kit and save over 40% and get a good variety of DiscipleLand materials to hold them in your hands and check them out.